There were 56 press releases posted in the last 24 hours and 153,151 in the last 365 days. Luxe beauty and skincare brand Apeiro introduces all-natural exfoliating and cleansing facial gel. NEW YORK , NEW YORK, UNITED STATES, March 5, 2019 /EINPresswire.com/ -- Recently unveiled to much fanfare among skincare aficionados, Apeiro's all-new Exfoliating & Cleansing Facial Gel joins the ultra-luxury beauty brand's growing range of cleansers, eye creams and serums, anti-aging solutions, collagen renewal treatments, salt scrubs, body butters, and more. "Apeiro products are developed to the very highest standards using cutting edge cosmetic science," explains the company's vice president of operations, Eric Inbar, "all to ensure results which are as dramatic as possible, posing an effective alternative to cosmetic injections, such as Botox, and other, much more invasive, often surgical solutions." The entire Apeiro collection is certified cruelty-free, clinically tested, fully FDA approved, and utilizes only the purest active ingredients, vitamins, minerals, and natural compounds. "Every single one of our products," Inbar continues, "is all-natural and organic, which supports improved skin health for long‐term beauty." New for 2019, Apeiro's Exfoliating & Cleansing Facial Gel contains natural exfoliating fruit grains to wash away makeup and impurities, geared toward soothing, hydrating, and refreshing the appearance of the skin, leaving it feeling clean, soft, and younger-looking. "Applied to clean skin, our all-natural exfoliating and cleansing facial gel should be massaged gently in circular motions into the face, paying particular attention to the area around the eyes," adds the brand's vice president of operations. The company's Exfoliating & Cleansing Facial Gel is recommended for use in combination with a second, all-new Apeiro product. 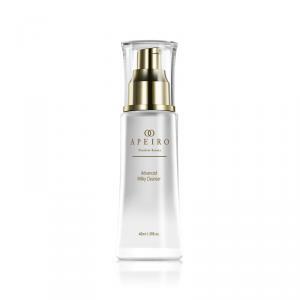 Already praised for its 'wonderfully light texture' and touted to delicately but effectively lift and remove dirt, makeup, and pollutants, Apeiro's Clarifying Facial Cleansing Foam joins its exfoliating gel as part of the firm's growing range of high-end beauty and skin care products and solutions. Both Apeiro's Exfoliating & Cleansing Facial Gel and Clarifying Facial Cleansing Foam combine to form part of the brand's ultra-exclusive collection of cleansers, which also includes its Advanced Hydrafresh Toner and Advanced Milky Cleanser, designed 'to gently remove any trace of dirt and makeup,' and 'to rid the skin of impurities and harmful toxins' respectively, according to the company. "Apeiro isn't simply a range of products, it's a solution," suggests Inbar, wrapping up, "and we've spared no expense in bringing the apex of skin treatment to the beauty and skincare market." To find out more about Apeiro's Exfoliating & Cleansing Facial Gel, please head to https://www.apeirotreatments.com/shop/cleanse/exfoliating-cleansing-facial-gel/.